You may have heard of the main role for vitamin K – blood clotting. However, Vitamin K Benefits go way beyond this function. Before we go the HOW TO’s of vitamin K, we need to know the WHY we need this vital vitamin in our life. You probably have heard of the term “blood coagulation.” When we have cuts and scrapes, the body has the ability to heal itself by changing blood consistency from liquid to gel then to a hard clot. Vitamin K is one of the central ingredients that helps in the clotting process, as it makes proteins that are prerequisite for the clotting to run smoothly. Check on some not-so-obvious facts about Vitamin K.
How To Get More Vitamin K Into Your Life? Once you know the purpose of Vitamin K, you can focus on the sources that have it in plenty. The most generous and highest levels of Vitamin K are found in green leafy vegetables. Add kale, spinach, collards, Swiss chard, parsley and green leaf lettuce to your daily diet. Eat them raw or cook with generous amounts of these green leafy veggies. The trick is to eat from a wide variety of sources of foods. Green leafy vegetables are power houses not only to a Vitamin K. They supply a myriad of phytonutrients, fiber and minerals for our bodies to function properly. These veggies are also an amazing hydration mechanism to keep our cells plump and balanced to run all the organs – including skin – at the optimal level. Vitamin K is needed for formation of proteins to maintain healthy skin cells. It is reported topical application of vitamin K may help to prevent acne and heal skin affected by acne scarring. 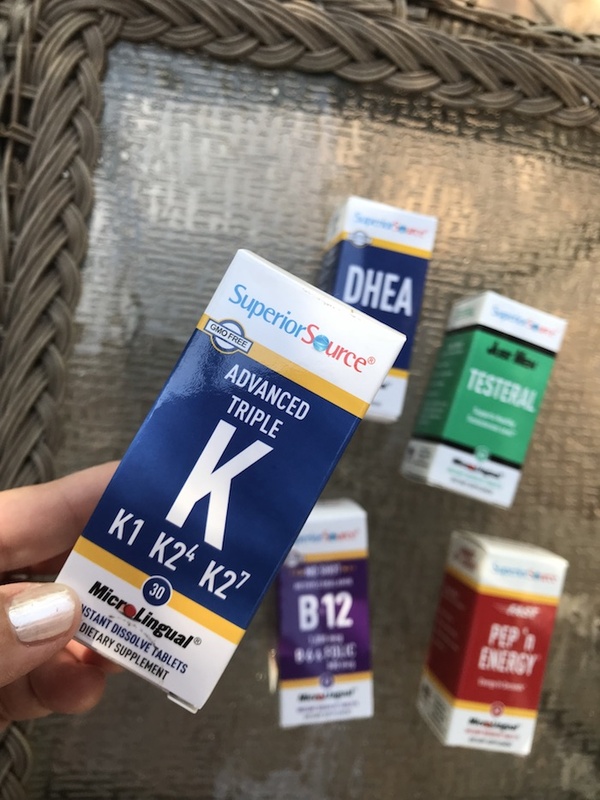 If you supplement Vitamin K, be aware of the fact that it comes in 2 forms: Vitamin K1 is found in green leafy vegetables; and Vitamin K2 is found in our gut and in fermented products like kefir, kimchi, tempeh, pickles, yogurt, chicha, kvass and rejuvelac. What To Eat for Ample Amounts of Vitamin K? Here are some veggies and other foods that are high in Vitamin K. It is so easy to incorporate them into a daily routine! Salads, soups, sandwiches, and even dips and sauces! 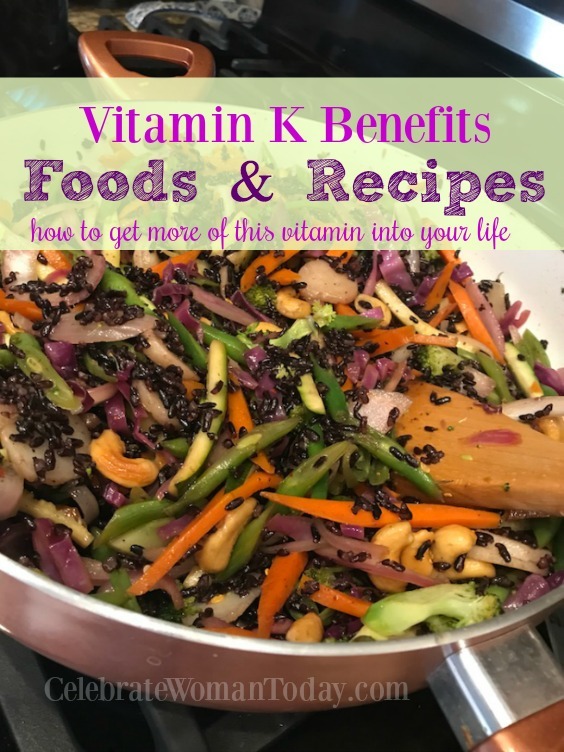 Try this amazingly easy recipe that incorporates food ingredients naturally rich in Vitamin K. I make such dishes frequently, alternating the vegetables and adding different sources of protein. This sauted green powerhouse is bursting with flavor, fiber, protein, vitamins and minerals from all the variety of veggies gathered into one place! Love from first sight. Feed your man and your entire family this type of food frequently to offer the benefits good health that come from Mother Nature. All ingredients are approximately in the same proportion to each other. Don't worry about the proportion – just add then into a skillet for a quick sautee! Heat the skillet or pan with olive oil and toss all the vegetables. Saute for about 5 minutes. Add black rice and mix nicely with sauteed vegetables. Your awesome vegetable dinner is ready to be served! You may want to add any source of protein to this colorful and Vitamin K rich recipe. JUNE is a National Men’s Health Month. 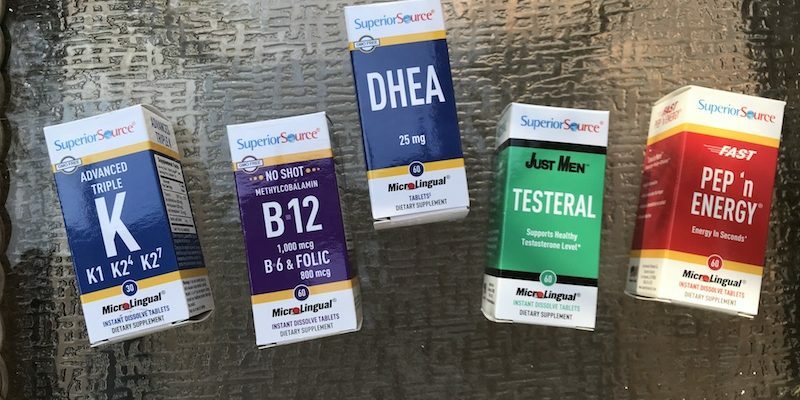 We would like to supply you with a robust package of Superior Source MicroLingual vitamins to support your man in your life. 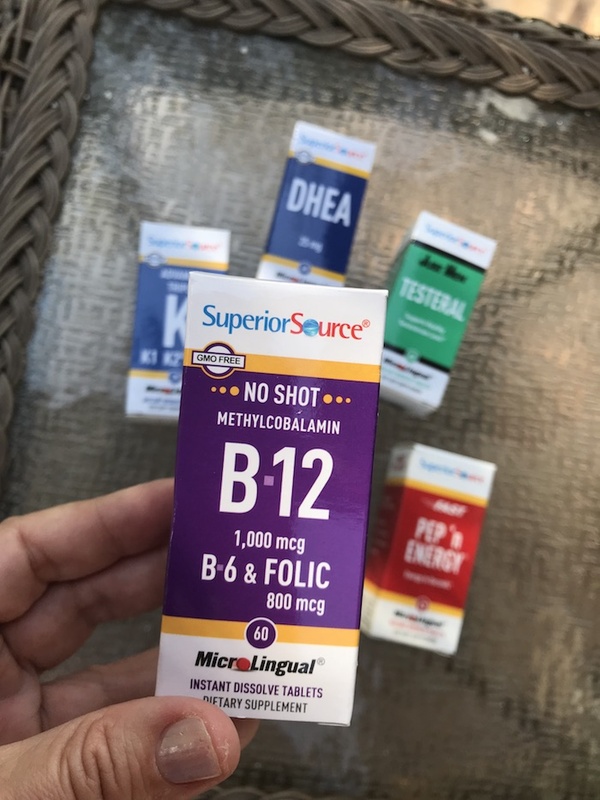 No Shot Methylcobalamin Vitamin B-12/Vitamin B-6 w/Folic Acid MicroLingual® Tablets go to work fast, under the tongue. Other forms of Vitamin B-12 supplementation can result in a loss of as much as 50% of Vitamin B-12 potency in the high acid environment of the stomach. The combination of Vitamin B-12, Vitamin B-6 and Folic Acid works synergistically to support healthy heart function and provide essential nutrients for the cardiovascular system. Read more about Vitamin B deficiencies and how medication may interfere with its absorption here. 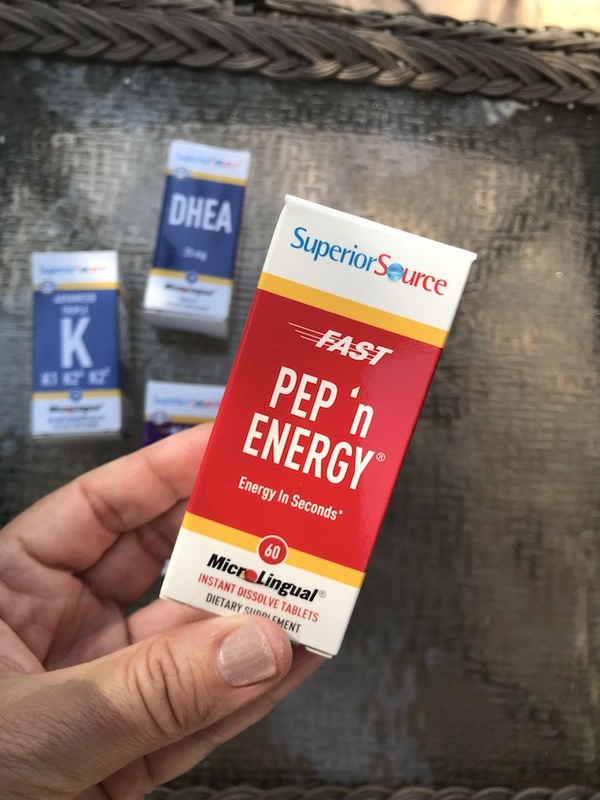 Pep ‘n Energy capsules are formulated to stimulate your natural energy reserves and jump-start your pep with a combination of vitamins and herbs. Try Superior Source natural energizer today to help you perform at your best all day long! 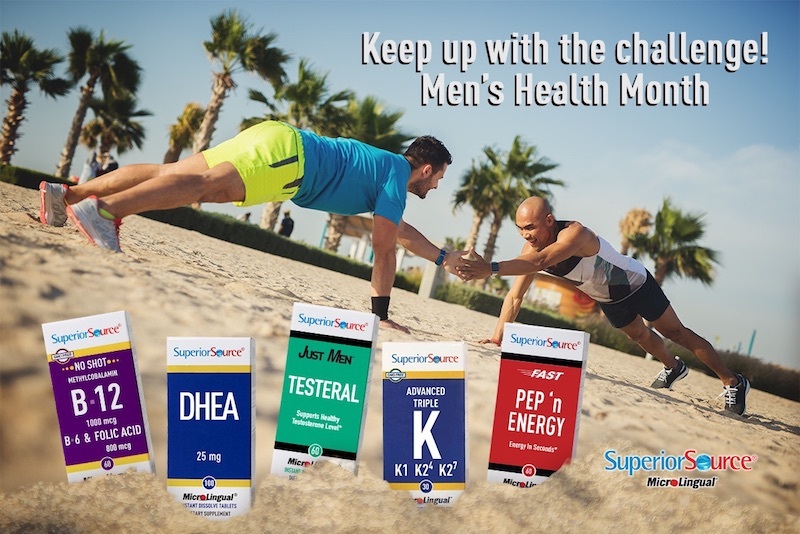 Just Men – Testeral by Superior Source contains a proprietary blend of herbs formulated to support healthy testosterone levels. A critical male hormone, testosterone helps maintain muscle strength, boosts libido and supports overall wellness in men. Vitamin K supports normal blood clotting and the formation of prothrombin. Vitamin D from Superior Source products are D3, the finest source of Vitamin D available. DHEA is a natural precursor to testosterone and estrogen and may support sexual energy and vitality. DHEA also promotes bone strength. DHEA levels naturally decline with age, making Superior Source DHEA an excellent choice for supplementing this important hormone. 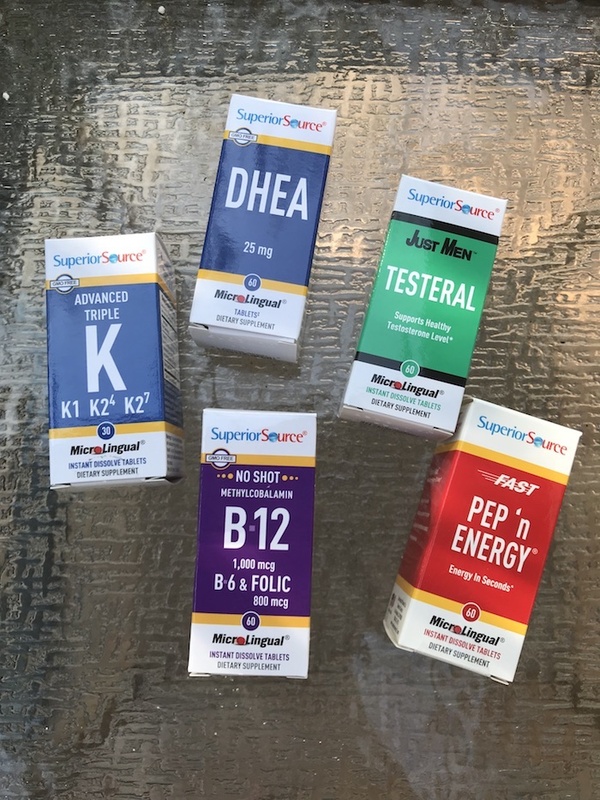 Win this Superior Source MicroLingual Vitamins Collection! i need to have my guy read this article! That’s what we all need to do: Help our men to learn more about their health and take action. 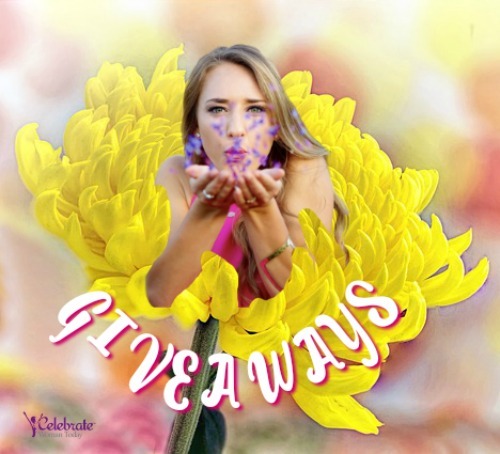 Thank you for being pro-active! My husband could use more vitamins since he doesn’t follow a good diet no matter what I try! Thanks for all the great info! My husband is always looking for new vitamins and supplements. I’ll make sure that we try some of these! 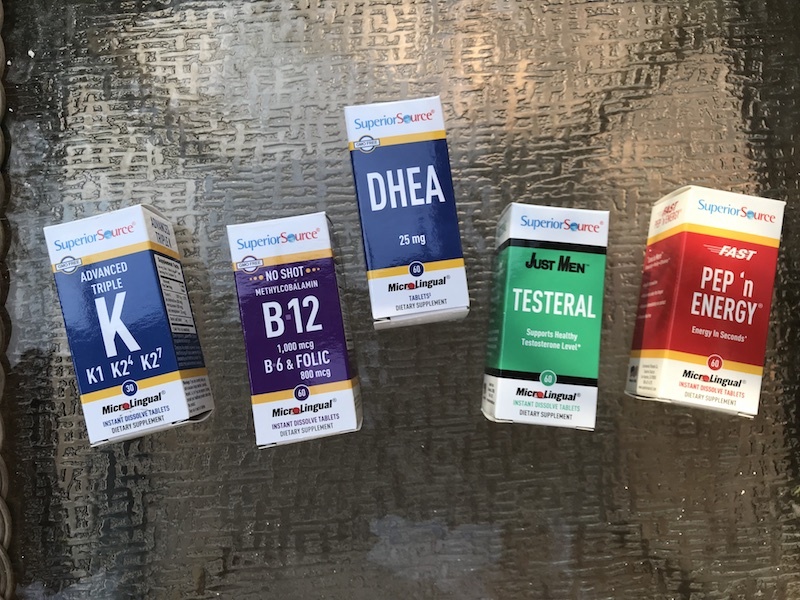 My hubby takes a multivitamin and also vitamin D….among other supplements. Thanks and God Bless! I will have him read this. I’m sure he’ll see the benefits. Thanks for the recipe! I think my hubby would like it since he’s low on vitamin k.
I could use some of these vitamins for myself! My hubby uses Fish oil and Vitamin K. I’m sure he uses more than that.